You would have been 92 years old today. This holiday season wouldn't be the same without commemorating your birth in some way - it was always part of the end of the year line-up: Halloween, Thanksgiving, your birthday party, Advent with lots of singing, more parties, Christmas, New Year's Eve. As we are both writers, I am sure that you would be tickled by a blog post as well as the white candles I am lighting in your honor. (Because you would blog. Oh yes, you would. I know of no other writer as devoted to communicating with people as much as you. You answered every single letter, and made deep friendships over the years through people reaching out to you. Of course you would blog)! I am reading A Wrinkle in Time out loud right now to your youngest granddaughter, Scarlett L'Engle. I have read it out loud to the boys too, and I am moved every time, not only by the text, but by my memories of you: reading Wrinkle aloud to me the summer when I was 9 and in a hospital with broken bones and fractured mind; identifying and commiserating with me whenever I got dramatic or emotional as a teenager; writing stories with me, as I do now with some of my own students and my children; taking me to museums, the opera, ballet; giving me glimpses of light in the world so that I may find my own light. You generously shared your love of literature and language, your love of story as truth. You taught me about love, hope and possibility in a world that is at times impossibly cruel. You taught me that our faults and our virtues are on a double-edge sword. How wonderful that Mrs. Whatsit gives Meg her faults to conquer IT with! You taught me that I could be and do anything, as long as I didn't let fear get the best of me. Well Gran, as you know, I always have to learn the hard way! Remember when I put everything in storage and moved to Moab for a year? You were not happy that I was going to be far away from you, yet you knew that I must follow my own path. My time in Moab fourteen years ago inspired my first novel! I started writing Edges seven years ago, and now it will finally be published next week, December 7th. I almost gave up several times. Thank you for showing me that writing is a discipline and a practice. You never gave up through all of the lean years and rejections. You kept going, because that was who you were. There wasn't anything else to do! Having you as my Gran in this business has been a mixed blessing - on the one hand, your influence has been my inspiration, on the other, I have been so afraid to dare to follow in your footsteps. If people are expecting you, they will be disappointed. Nobody can be you. Many of us spend much of our youth folding ourselves up into pretzels, trying to please others and to conform to our ideas of what our family, friends, society want us to be. We are afraid of not being loved. Finding and owning my voice as a writer has been a hard won process. “I’m different, and I’m happy.” Calvin said. This is part of what inspires me to mentor young writers, to show them that "originality" is finding their own authentic voice. Thank you for always being my guide and mentor, in heart, mind and spirit. For continuing to kythe with me, even now, three years after your death. Happy Birthday Gran, you are always with me. Lena, this made me all teary. Now I'm fighting the urge to scrap my writing plans for the afternoon and go re-read the entire Austin family cycle. I felt a "nudge" to pick up "A Circle of Quiet" last evening and began reading, immediately identifying with your grandmother's experience of a sacred place, a "circle of quiet." As I continued reading, I found that we had both mused about the deeper meaning of the "icon" vs. the "image" and also share a huge love of using our birthdays as an excuse for a celebration. All of a sudden, I realized that last night was the eve of your grandmother's birthday today! Wow! What an amazing coincidence that I would pick up her book for the first time, just beginning to get to know her, and find out right away that our introduction would be preparation for a birthday celebration! So here I am, just connecting to you on your grandmother's birthday, as I take a study break from a take-home theology exam in the sunny reading room in the Princeton Theological Seminary! God is good. Blessings to you, Lena, and I hope to learn a lot more about your grandmother and you as I explore her writing and make a cyber-connection to you via your blog. Take care--peace and joy and CHEERS!!! from a new friend in Princeton as you toast your grandmother tonight! Awww - thank you Terry - what wonderful synchronicity! Thank you for reaching out and saying hello - I grew up at General Theological Seminary in NYC! (Dad is a priest). I just got out your grandmother's Miracle on 10th Street collection over the weekend -- as I do every Christmas. Such an inspiration! Thank you for helping me keep her memory alive, Wonderwegian and TexasRed! As we approach Midnight here in Chicago, I am saying goodbye again to another celebration of Madeleine. All day, her words came to me. I looked at the photo of us in the recording studio where she read 'Wrinkle' smiling and knowing in her wonderful way. I wish you and your family a blessed advent and a great celebration of Edges. Thank you Hope and Kim! Lena, You don't have to be your Gran. You can be your you. I wish you luck and strength in getting there because it'll a freedom that will feel great! I once had the most wonderful grandmother who loved me without condition. She died when I was seven, and I still grieve. I first read A Wrinkle in Time when I was 11. It was in the library of the middle school where I was bullied every day. It was the same year I tried to commit suicide. I knew I was different, and my interpretation of the Bible led me to believe I was damned. I felt so hopeless. But I kept reading. All the novels. I found the Crosswicks Journal, the Genesis trilogy, Walking on Water, Penguins and Golden Calves, so many others. They tell young people now "It gets better." 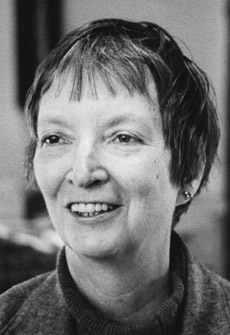 I learned from Madeleine L'Engle that it IS better. I never grieved the loss of anyone I hadn't met in person before or since her death. And here I am with my heart on my sleeve, with the strangest hope that she might somehow have met my grandmother by now. Katie - I'm getting closer! Jim, I am deeply moved. Words can't express how glad I am that my Gran's books were a port in storm for you, giving you an alternate perspective. A loving, healing one. I am happy that you are here to be a light for others, and I hope that we may meet someday and share stories! "Many of us spend much of our youth folding ourselves up into pretzels, trying to please others and to conform to our ideas of what our family, friends, society want us to be. We are afraid of not being loved. Finding and owning my voice as a writer has been a hard won process." Oh Lena, so true! I had to cut and paste to look at it again. And now I want to copy and paste the rest of what you wrote to remind myself of all of it--thank you! Like many young people, I felt like your gran was one of my best friends as I grew up, one of the people who spoke most directly to my tender and hopeful heart. I was so lucky to read her words. And now I'm so lucky to read yours and to know you. Also now I'm teary eyed thinking at the cycle and circle and weaving of it all . . .
Ah Jen - we are all lucky as the circle grows bigger and the tapestry weaves a larger blanket, giving us enough room to be our authentic selves. I am so blessed that you are a part of it all . . .
Ah, such a sweet tribute to your dear Gran. But I think the truest tribute, that no doubt makes her smile, is that you are just being you and living into your own light. And YA lit needs such a voice today (I used to teach jr. high so hats off to you!) I too have been wonderfully influence by my dear Gram and hope I honor her similarly. And I love your last comment about the tapestry weaving . . . at the same time we are all part of those who've influenced us, we need room to grow into ourselves. I never read anything by MLE till I was about 40, she being on the banned list of my upbringing. But I credit her books as opening the door to a way back to faith for me, a faith that is not afraid to wrestle with the questions and is learning to delight in the mystery. Dianne - thank you for your affirmation! I thought of you and your gran all week. Just finished "The Young Unicorns" as I had a laser treatment that healed an infection in my lymph nodes. I can't help but shake my head at how Madeleine was a part of her time, ahead of her time, etc. Your gran has had a huge impact on my life. So have you, already, you--yourself. May this week be an affirmation of you and your talent. I can't wait to read it. I have lit a candle for your Gran and I am sending you and your family lots of love at this very difficult time.